We offer fast and straight-forward help by means of short and effective stretches and exercises, which are easily integrated into every day working life. Taking just a few targeted measures will help maintain your work performance throughout the day. It is only when you can get things done with a clear head that you can be creative. These days, ergonomics are a necessity when it comes to health at the workplace. This is where the exercise and stretch activities come into effect. They provide targeted help to improve posture during sedentary activities by means of diverse brief training units. The micropause® exercises and stretches provide targeted help to improve your posture. trinktimer acts as a regular reminder to positively influence your hydrating habits. Instructions on relaxation methods. Breathing exercises, ClearMindTraining or progressive muscle relaxation (PMR). The myEnergy test will help you assess your personal energy balance. myActivities is an easy way to record and track your personal health activities. 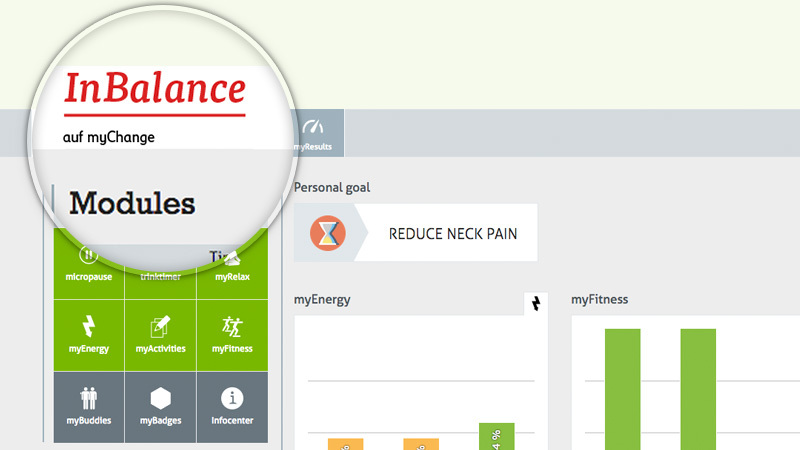 Six different tests within the myFitness module provide information on your personal level of fitness. This is where all your activities, exercises and achieved goals are registered. myBadges hands out reward badges for your effort. 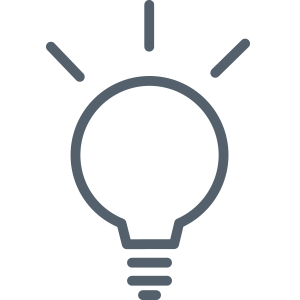 The integration of brief relaxation exercises at the workplace helps you return to work feeling more energised – that is what myRelax, with its tutorials on relaxation techniques, stands for. 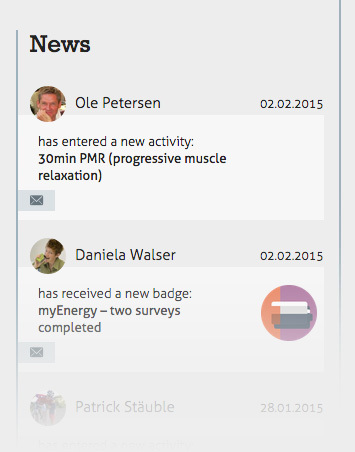 Breathing exercises, ClearMindTraining or progressive muscle relaxation (PMR) are all part of myRelax. Sleep, stress, exercise and burnout are just some of the topics that are addressed in the diverse myChange infoCenter. This is where anyone who has a question on the broad topic of health will find answers and can benefit not only from expert knowledge but also from helpful tips for everyday use. If you are looking for like-minded colleagues for joint activities, you can count on myBuddies. See what your "buddies" do and motivate each other. myChange is interactive, mobile and thanks to responsive design suitable for each operating system. Workplace health promotion (WHP) is the boss' responsibility: That's how employees and the public see it. Getting healthy today – staying healthy tomorrow: Employees have a right to be supported. Healthier employees are more satisfied employees. Satisfied employees are high-performing employees. High-performing employees create company success. Therefore, myChange is a must have all-round addition for your company's workplace health promotion. myChange helps promote your health throughout the whole working day. Simple and individual tools help you improve your well-being. You will benefit from having more energy during the day and feeling invigorated after your day's work. You will be provided with practical help against back pain, itchy eyes and tiredness. The exercises are easy to apply and based on scientific knowledge. Gain valuable time with myChange: Actively do something for your health during your working day and save precious free time. An interactive health portal represents a central source of information for all the activities in your company – what does it offer? ...where do I find what I'm looking for? It is advisable to label your company's health portal with a motto or a logo of the health campaign – ideally, any adjustments made should be in line with your corporate design. Would you like to test the online health portal myChange or do you require further information? Feel free to contact us by using the online form. We will get in touch with personally within the next few hours. fit im job is based in Winterthur and has been supporting employees and companies on their way to increased well-being and more energy since 1988. fit im job provides profound know-how in seminars and coaching sessions. Since 2003, fit im job also offers a wide range of online tools. 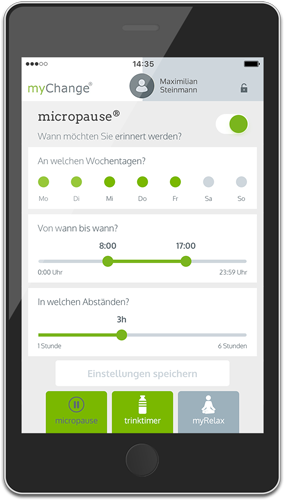 One of them, the module micropause®, was awarded the Swiss innovation prize. Please log-in with your e-mail address and your password. Would you like to test the online health portal myChange or do you require further information? Feel free to contact us by using the online form. We will get in touch with personally within the next few hours. You can now use all the myChange functions incl. timer on your smartphone.